Writer Bryan Hill (ROMULUS, POSTAL) and Rhoald Marcellius (Marvel: Contest of Champions) unite for BONEHEAD, a gritty new techno-thriller from Image/Top Cow this December. In a near future, a sprawling megalopolis sees the rise of “Boneheads,” parkour gangs who use neuro-linked helmets to augment their abilities and live for the thrill of physical risk. As a gang war threatens to tear the city apart, a mysterious Bonehead rises—a man with no past who might be the key to saving the city's future. 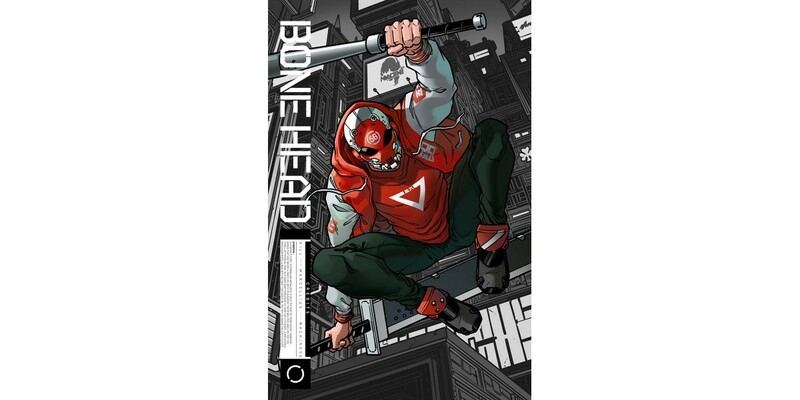 BONEHEAD #1 (Diamond code: OCT170566) hits comic book stores Wednesday, December 27th. The final order cutoff deadline for comics retailers is Monday, December 4th.